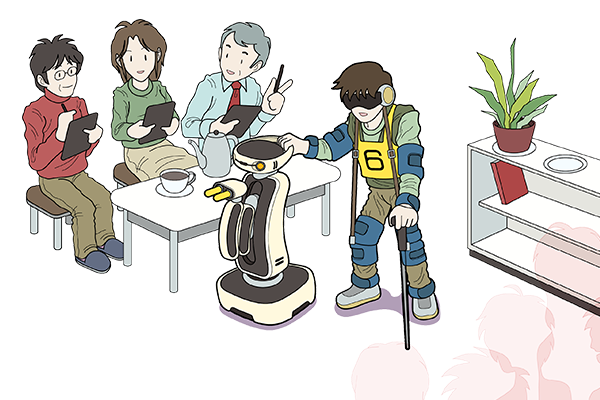 where people and robots are able to collaborate. This challenge is divided into two, real and virtual. that can help reduce the burdens of the employees. Detailed rules will be updated as necessary. We will keep you informed about any progress. (Latest version as of Oct.05, 2018). The participants will compete the total score. 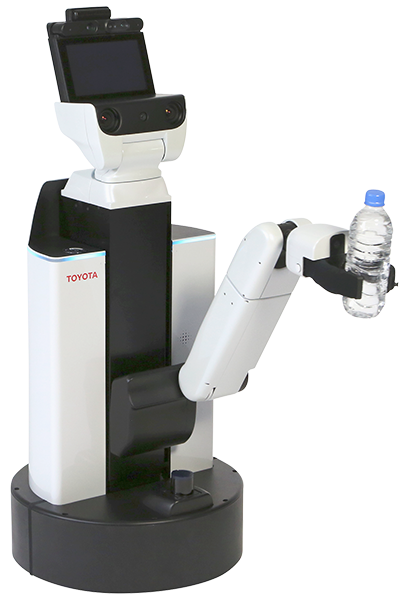 All tasks will be done by TOYOTA MOTOR CORPORATION HSR (Human Support Robot). The concept of Partner Robot Challenge is to foster the collaboration between human and robot. 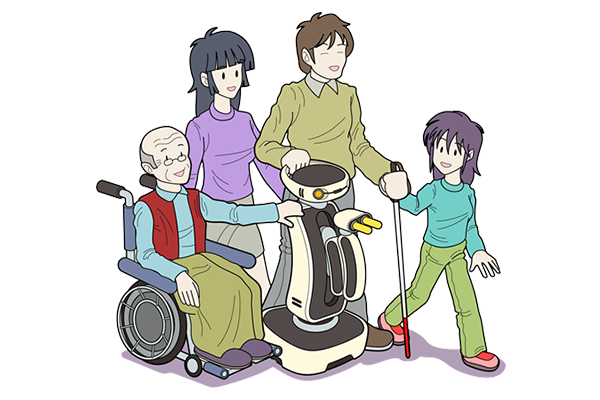 Not limited to assistance for handicapped person, but also in domestic home environment with living children and elderly person, it is targeted to realize a rich collaborative living environment for human and robot. It is not the aim of this competition for the robot to complete the task alone, but with the communication and workload sharing with human user, this challenge competes the technologies for smooth collaboration between human and robot. 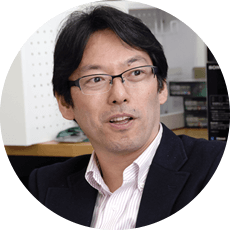 The focus on human-robot collaboration is the uniqueness of this competition. Go get an object from a designated room. Based on the operator’s instruction, go get an instructed object from a list of 4 known objects and one previously presented unknown object. 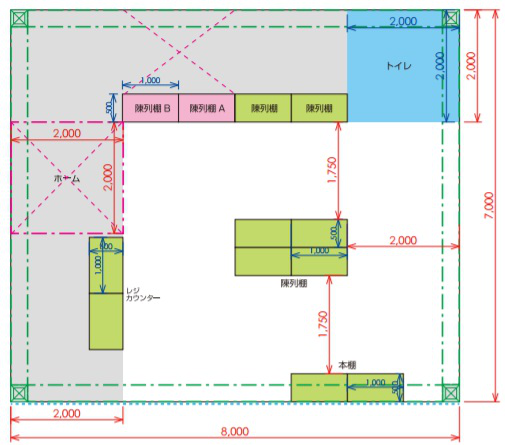 If the instructed object is handed over to the operator, or enters a designated area in the vicinity of the operator (within the 2D projection of the floor), the task is considered completed. This test focuses mainly on object memory, HRI, semantic mapping, object perception and manipulation. Tidy up the objects to the original positions in a room. 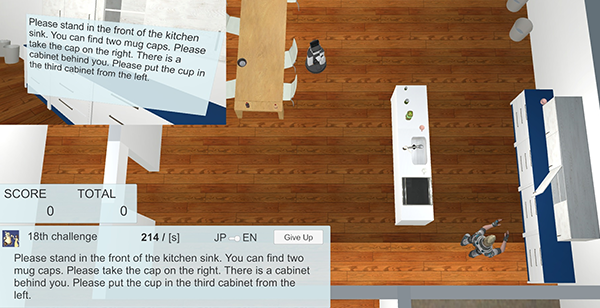 Tidy up objects from the incorrect positions to a predetermined tidy up space. Stage 1: Put scattered toys in order on the toy shelf in the children room. Stage 2: Clean up scattered objects in living and dining rooms, by confirming with human user whether to discard or tidy up the objects. The purpose of the Final is to enable the participating teams to demonstrate their robots’ best abilities as a partner robot to support human without any rule restriction. The teams are encouraged to demonstrate their latest research development on new approaches, applications of the assistance robot in an interesting scenario setting. 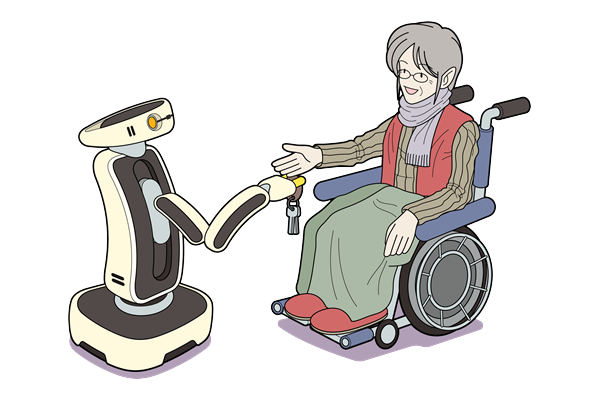 The Final aims to demonstrate the concept of future barrier-free (handicapped person, elderly person, healthy person) robotic home environment. A team must have at least one member to play the role of an elderly person in the demonstration. Both the demonstration of the robot(s), and the answers of the team in the interview part are evaluated. Detailed rules will be updated as necessary. We will keep you informed about any progress. (Latest version as of Oct.15, 2018). All tasks will be done by SIGVerse. 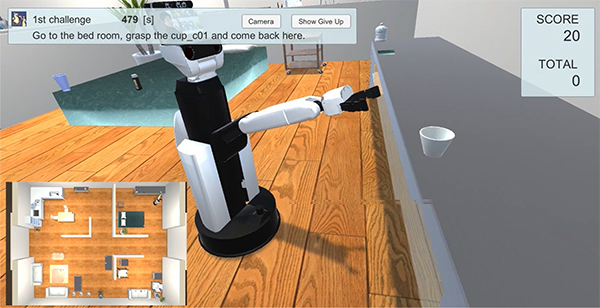 The robot receives instructions requested by a referee from three subtasks: navigation, Human-Robot Interaction and robot-object interaction. Random-ordered actions to carry out, increased complexity in speech recognition. The robot observes the human’s gesture to understand the target object and the trash can. Ability to understand the pointing gesture by the human avatar, which is operated by a real referee. 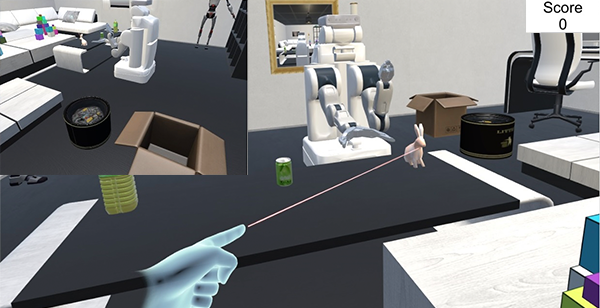 The robot generate a linguistic instruction for a real user to find a target object in unknown virtual environment. The participants demonstrate human-robot interaction tasks by using the simulator and make presentations on those tasks. 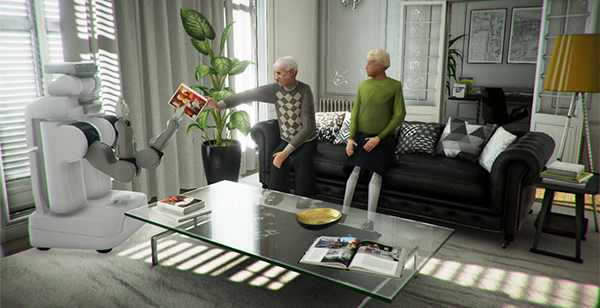 New approaches/applications of human-robot interaction. We expected participant to compete all the following three tasks. The participant who execute either one of three tasks are also welcome. Self-stocking of daily products (onigiri rice ball and bento lunch boxes, etc.) and disposing expired products. Demonstration of future / sophisticated customer service in near future using robot technology. Cleaning of the toilet bowl, the floor, and wall in toilet stall. Detailed rules will be updated as necessary. We will keep you informed about any progress. (Latest version as of Sep.21, 2018). This task will use the backyard area, home area, aisle area, Shelf A and Shelf B. Each team will be allocated 20 minutes. The participants will set up the products and their robots. A total of nine products consisting of three onigiri rice balls, three drinks, and three bento lunch boxes must be stocked up into the container. Participants are free to allocate the robots and the container which keep the products inside as the initial setting in the mockup store. 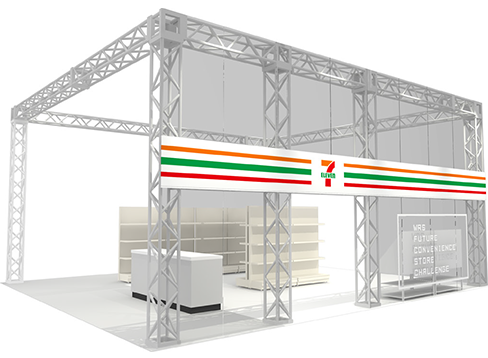 Also the staff will stock the products on Shelf B. The participants will begin operating the system. The robots will pick up products from the container and replenish in the specific area on Shelf A. There are five sandwiches on Shelf B. The system must check the best by date on the back of the sandwich label and remove expired products. They must rearrange the rest of the products in the designated position on Shelf B. 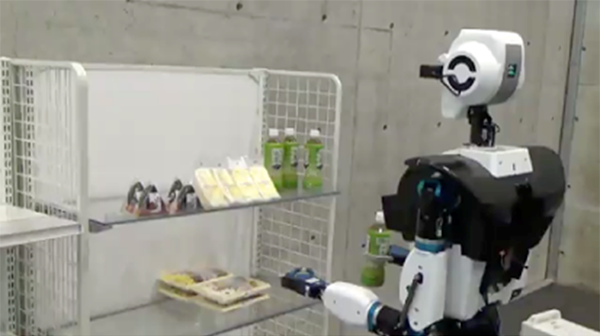 The robots will remove expired foods from the shelf and carry them to the home area. *The teams can decide how to allocate the time for each item. The participants can unfold any customer-serving scenario and must demonstrate the system within the allocated time. The participants will set up the products and robots. They are free to allocate the robots and products in their initial setting in the mockup store. The participants must explain the overview and the objectives of the system. *They are allowed to have a presentation with their demonstration simultaneously. *These are only examples of customer interaction and it is not necessary to cover all of the above. *The participants will appoint the customers. (1) Clean simulated urine from the toilet (top (rim), sides, bottom of seat), as well as the surrounding floor and walls. *No need to clean inside the toilet bowl. The participants will remodel the infrastructure in the infrastructure area. The participants will set up the mobile robots. They are free to allocate the robots in the home area outside the toilet area. The participants will begin operating the system. The water-spraying device (urinating fountain) will spray 300ml of mockup urine on the opened toilet seat. There will be a total of five pieces of trash consisting of four pieces of toilet paper (maximum 2 cm) and one toilet paper core on the floor at random. The trash will be scattered after spraying the mockup urine.